Welcome to Suburban Pets! 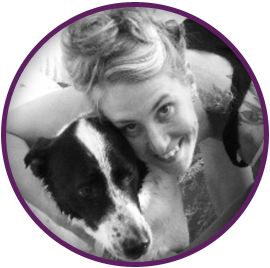 We are a team of dog walkers and pet sitters that don't just perform a "job". 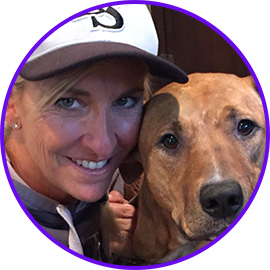 Read more below about the owners & staff, and their enduring dedication to animals. 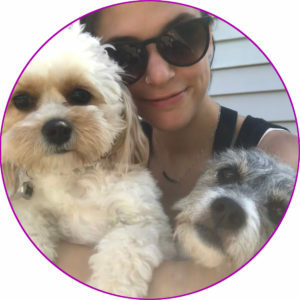 While finishing up my Master's Degree and commuting to Manhattan as a healthcare administrator, I could not help but to think that there must be something out there I could do for a living which would include my genuine passion for dogs. They have always been a huge part of my life. The absolute most rewarding feeling I have ever experienced came as a result of rescuing my two dogs, Caesar and Eli. 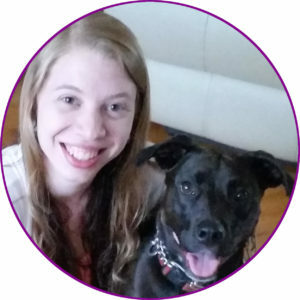 I decided that between my passion for animals, my hope that pet care could be made affordable, my experience and education, I could create a dog walking and pet sitting business without a "business" feel. 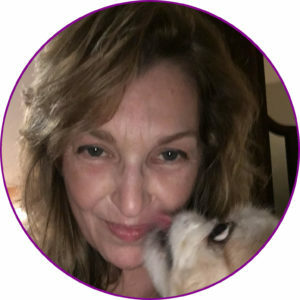 After all, this is my passion and I would make sure that my clients would not only hear, but feel, that the love I have for their dogs and cats could not be matched. And so the calls started coming in. 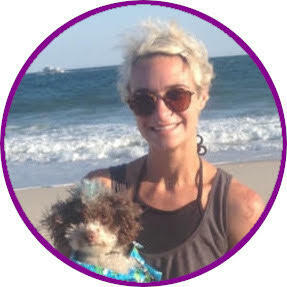 Not long after, I began receiving referrals from my clients, groomers, veterinarians and dog trainers. Since I couldn't be in more than one place at a time, I began training my first employee. And when I say training, I mean TRAINING. I am a leader in Dog and Cat First Aid and CPR through the American Red Cross. So of course, I make sure that my employees become certified in the methods as taught by the American Red Cross. The pets we care for are important members of the families with which we have built such strong, trusting relationships. Each employee is carefully selected. They have had rigorous training and background checks. I invite you to share in a wonderful experience with a pet professional from Suburban Pets. You will understand how serious we take this "job", which to us, isn't a job at all, but a way to make the lives of an animal enriched and fulfilling. We cannot wait to meet you, and your Suburban Pet!" 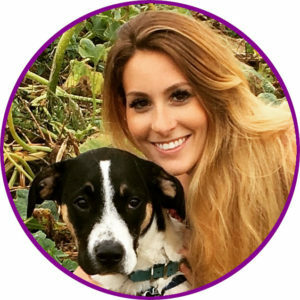 Pet care has been a passion of mine ever since I was a little girl. I always dreamed of one day working alongside the most amazing creatures this world has to offer. I grew up in a household with dogs and cats, rode horses and attended horse summer camps where I was able to learn about the care for many animals. Throughout my life I have taken care of dogs, cats, rabbits, horses, farm animals, reptiles.. you name it! It seemed second nature to me. 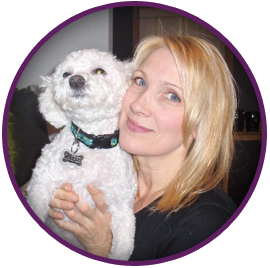 I have brought years of experience, and knowledge to many of my furry clients. I attended college for business with no intention of actually becoming a business owner. During my two years of schooling, I gave up my Fridays to volunteer at a horse rescue called Lucky Orphans. Being around animals is what truly made me happy, and giving back to non-profit organizations who helped animals made me even happier. At the age of 23, I decided to take a jump & start my own, certified NYS business. I called it "Lindsays Pet Care Services". In just 2 short years I had a staff of 10-12 & a clientele of over 200! 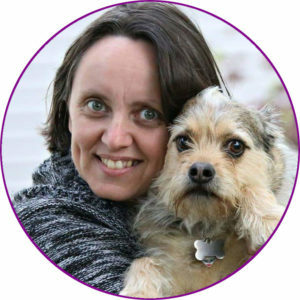 Knowing that in order to grow and obtain a healthy lifestyle, I reached out to Therese and proposed a merge, I'm so glad I did! 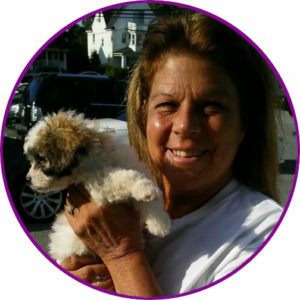 Here we are today, running the largest dog walking company on Long Island! I am so happy that I followed my dreams and I encourage other young adults to do the same. 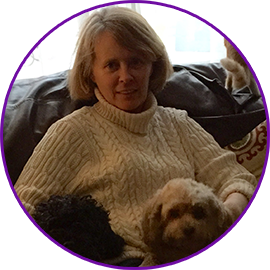 Therese, our staff and myself are passionate about exceeding your expectations. We know how much your pets mean to you and we promise to give them just as much love, attention and care when they are in our hands. "My passion is the health and well being of any animal. I love taking care of animals and helping them. I look forward to going to work every day! Animals have always brought great joy, love and happiness to me and they will always be a part of my life. I have two dogs, a Golden Retriever named Teddy and a Bichon/Poodle named Casper." "Hello!! My name is Marguerite. 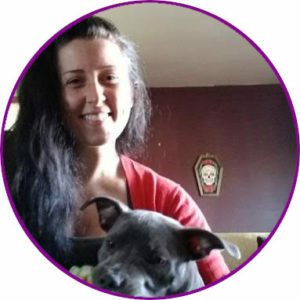 I have been caring for animals for over 7 years professionally as a kennel worker, grooming assistant and veterinary assistant. I have always had a special connection with animals. Growing up I surrounded myself with lizards, turtles and hamsters because I wasn't allowed to have a dog or cat. At 20 years old after working at a kennel for a few years, my mother gave in and I rescued my first dog. Her name is Eve she is a black and white lab mix. I just rescued my 2nd dog, his name is Alfred, a blue nose pitbull. Caring for animals is my passion and I treat each and every animal as if they were my own. 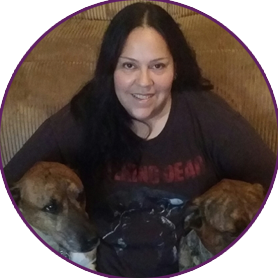 I'm excited to be a part of this team and to take care of your furbabies!!" "Hi, I'm Corrie! I was the little girl who brought home strays; dogs, cats, turtles too. 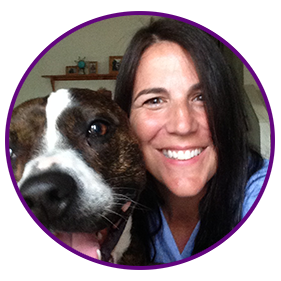 I've always had a soft spot for animals and am so grateful for the opportunity to care for so many wonderful pets as a member of the Suburban Pets team. 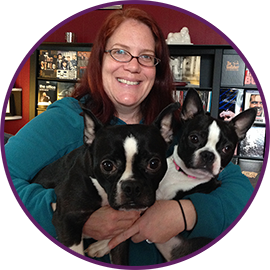 I have two adorable Boston Terrier rescues at home, Henry and June. 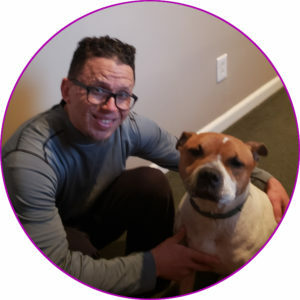 I treat all the special dogs and cats I visit as extended members of the family, so you can rest assured your boys and girls are getting lots of love and tummy rubs when I come over." "Hi! I'm Carol, & I have been an animal lover forever!! I am the proud owner of my rescued lab mix named Moose (feat. in pic) & 3 beautiful kitties, one of which has "special needs", which to me, makes him even more lovable! I also have been a volunteer for an animal rescue organization for the past 6 years where I provide comfort, love & care to the cats while they are waiting to find their forever homes. 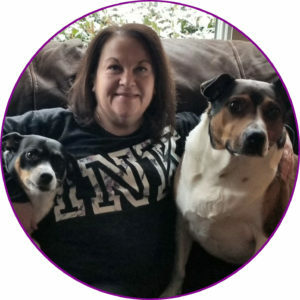 I am often asked to pet sit for friends and family, & since it's something I love to do, I am thrilled to have joined the team of dog walkers at SP, where I can lovingly provide all the care and attention to your pets as I would give to my own! I look forward to meeting you and your wonderful pets!" "Hello! I am so thankful to do what I love every day. Being able to exercise and spend my time with some furry friends- a perfect combination. I have two dogs and two cats at home. 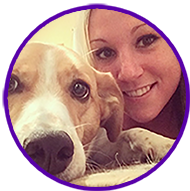 I started out as a client of Suburban Pets but soon found myself with a part time job and find it very rewarding!" "To work with animals is truly rewarding. Growing up, my family had a miniature poodle and a bichon. Now, I have a beagle mix named Henrik. Whether you have a cat that needs to play or a dog that needs a nice long walk, I am happy to be there!" Hi I'm Sarah! I have been an animal lover my whole life. This is a dream job for me! I've been taking care of animals for as long as I can remember and I cant wait to meet and take care of yours! "Hi! I'm Erin. For as long as I can remember I have adored all animals and love being able to care for them. I am thankful to do something everyday that I'm passionate about. Pictured here is my pride and joy, Alfie! He was rescued 7 years ago and is a loving member of my family. I look forward to spending time with yours!" "Hi! I'm Terry. I came to be a dog lover many years ago when my 8 year old daughter did a power point presentation on why she should have a dog! Of course we got one and I was hooked! I love to take care of my furry friends. When I'm with your pups, I love them like they are my own! I especially have a soft spot for senior pups. I hope to meet your fur baby soon!" "Hey, I'm Kacie! I absolutely LOVE all types of animals, and I have been taking care of pets as long as I can remember. This is my ray of sunshine, Vega! I don't know what I would do without her, she is my life saver. I can't wait to take care of and bond with your pets, and look forward to meeting you!" "Animals have always been a huge part of my family life. My family currently consists of a dog (Marley Black Lab mix, 4 years old) and three cats – Moxie and Mia (9 years old sisters) and my newest baby, Max (11 months). When I was younger, my dream was to work with animals or children. I am very fortunate and grateful that I am currently fulfilling both of these dreams! I started out as a client of Suburban Pets and had the opportunity to join this wonderful organization. I’m still a client, as I won’t trust anyone else to care for my babies! Your fur babies are now a part of my extended family and I look forward caring for them as if they were my own. "Hi my name is Tiffany. I've been around pets my whole life, dogs, bunnies, turtles and guinea pigs. Right now I'm the proud mother of a six year old poodle that i rescued. His name is Ryder and he is my favorite adventure partner! We go hiking, kayaking, camping and he LOVES the beach just like his mom! 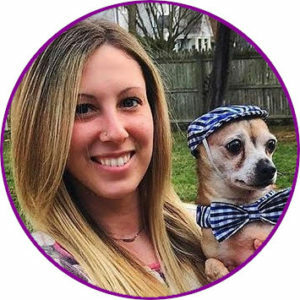 I am super excited to be a part of The Suburban Pets team and am also looking forward to meeting and making new friends with your doggies." "I have had dogs all my life!! I LOVE being around them. Caring for them and loving them. Presently, I have 8 dogs - 7 Siberian Huskies and a Pit Bull . I have my hands full at home but wouldn't change it for the world!" "I enjoy being apart of Suburban Pets because it is a great environment. Everyone treats each other like family. The pet parents are wonderful. I’m so excited to spend time with pups of every personality, size, and breed because they’re all so unique and sweet. I’m ambitious and positive and always have a smile, especially for my furry friends and their parents. I can’t wait to offer my services to the wonderful families of New York. Growing up, there were always pups around! 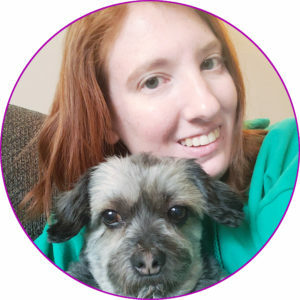 I learned so much about their care and well being and have been able to take that experience into my pet sitting career. I’m also the proud dad to my fur baby, Cujo Lorenzo. He’s an eight year old Pitbull mix who is the love of my life. 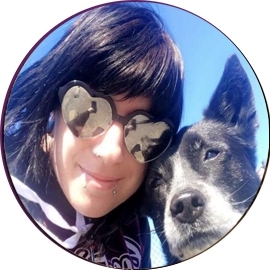 I've recently obtained my Canine Communication Certificate and I look forward to sharing my knowledge on how to successfully communicate with dogs during our stay!" 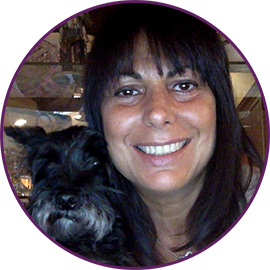 “Hi my name is Michele, I have been with Suburban Pets since March 2016. I absolutely love animals! This is my dog Sandy ,she is a mix breed. I also have a dog max who is a jack Russell , pug mix. I've been an animal lover all my life! I will treat your Dogs and Cats like they were my very own! "Hi, my name is Lex. This is a dream job for me, more of a calling really, as I have always loved dogs! I have been the proud pet parent of rescue schnauzers for a long time. Pictured here with me is my sixth, Ozzy. Along with my two sons, he is the love of my life! I enjoy being around dogs and can’t wait to make your dog a part of my extended doggy family!" "Hi I'm Jackie and this is my Diesel, who we rescued 3 years ago. I can't remember a time in my life when my home wasn't shared with four legged friends, nor would I want to. Coming home to my pets is the best part of my day. 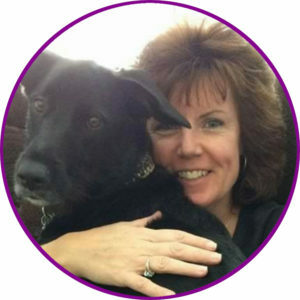 And I enjoy meeting and taking care of your pets just as much:)"
"Hi, I'm Christine. I have been involved in small dog rescue for the last 8 years. Fostering, Home Visits, Transporting. I have taken a step back now regarding fostering since my two time foster pup, adoptee Simba needs to be an only child. Iv'e always had a love for animals since way back. Animals have no voice, that's where we step in. The unconditional love you receive from your pet is the greatest. 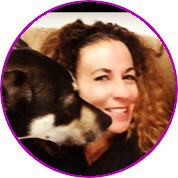 I look so forward to providing hugs, kisses and professional care to your pets, leaving you worry free!" "Hello! I've always had a passion for helping and taking care of all animals. I had many different types growing up and have worked as a Veterinarian Technician and also did grooming! I have 2 dogs, Jasper & Harley, and 4 cats, Bubba, Bella, Sandy and Storm who are all rescues. I love spending time with your furry children when you can't be there, and will treat them like my own." "Hello, My name is Michele. As a child I had always dreamed of being a veterinarian but since I can’t stomach blood I had to change my career goals. Lol. I’ve always had pets as a child but as an adult was when I was able to really pursue my passion for animals. I have been involved in animal rescue for over 10 years and have 3 rescue dogs and 2 rescue cats of my own. Of all the jobs that I’ve had this is definitely the top! I get to walk and care for your family members and nothing is more rewarding. " 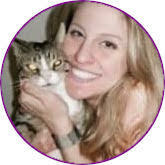 "Hello, my name is Danielle, I am a proud mom of my tuxedo kitten, Luke, and my long time buddy Bello, who’s a beagle. 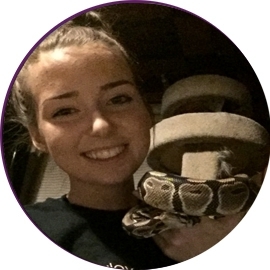 This is not just an employment to me, I truly enjoy working with all animals and have wanted a career with animals since I was a young girl, I do plan to go to school in the future for a veterinary assistant. As of now, I am extremely excited to meet all of your pets and care for them like they are my own! I am reliable and compassionate, just like everyone else on the team and I look forward to meeting you and your furry friends!" "Hi, I’m Emily! I grew up in a family of animal lovers and have always had pets. I’ve done pet sitting for neighbors since I was in elementary school, and have some experience volunteering at a local shelter. I’ve been with Suburban pets since May of 2018 and I’ve loved every day of it! 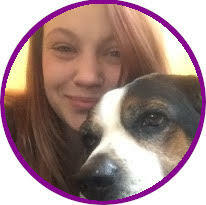 I treat each of the pets I visit as if they were my own and they each have a special place in my heart!" "I have been an animal lover all my life, but dogs hold a very special place in my heart. After working for years in retail environment i find caring for pets to be a refreshing change of pace. 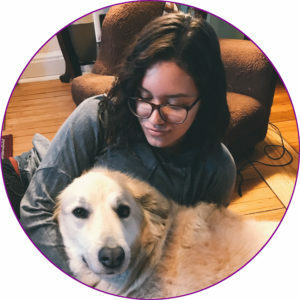 What could be better than walking dogs, rubbing their bellies, giving treats, and receiving slobbering kisses, all while giving loving pet families a peace of mind while they go about their busy lives? My best buddy Monti (pictured with me, adopted 6 years ago) agrees." "Hi I'm Nina. Growing up in a household where pets weren't allowed made me realize as I got older how much I love spending time with pets and animals. I'm a very outdoorsy person who is passionate about my hobbies which include hiking, art, and giving care that's needed. Hiking with my boyfriends dog, Nella, Is what I look forward too weekly she's a Collie mix so she loves climbing with me! I also take the time to play with my best friends Shitzu poodle mix, Chewy, when she's on vacation. It's very important that he gets much attention especially when no one Is home. Even though I'm not a pet owner I sure do always feel like one!"